Careful – they bite! A photo for the week. 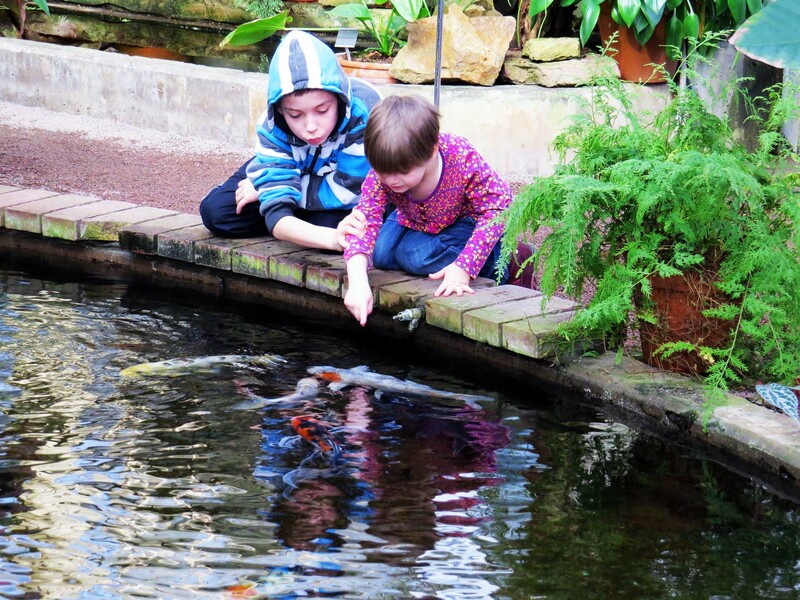 Two children fascinated by the carp in the pond in the tropical house at the Gothenburg Botanical Gardens. I think the boy is telling his little sister not to put her finger too close to the fish. They do bite, though not because they are vicious. 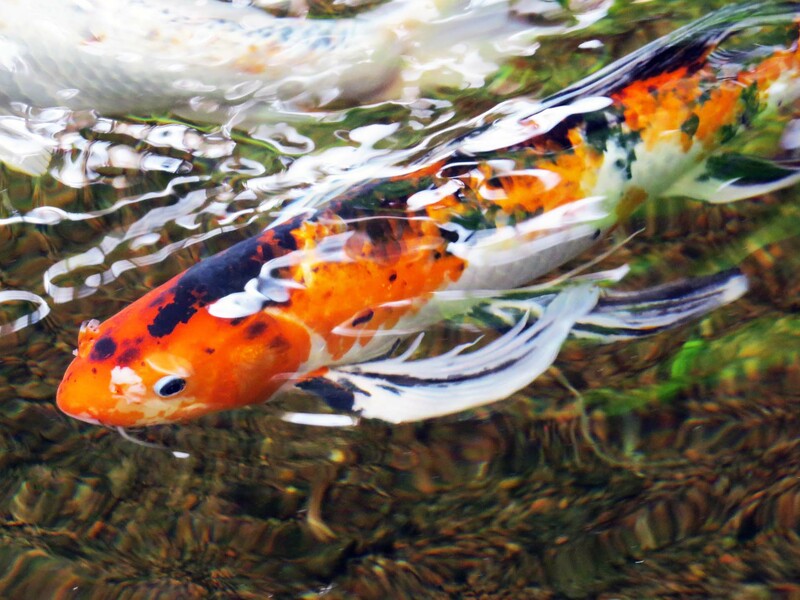 To a carp, a little finger looks a lot like a morsel of food. I took this photo one cold day early in March – I think it was Sunday or Saturday – and originally published it on 6th March 2013 at GBG365. I remember that day. It was a relief to step into the humid heat of the tropical glasshouse. Outside the sun was shining, but it was a still a frozen cold day. Outside there was ice on the puddles and in the cracks of the stone paving. Inside, it was a step several degrees of latitude nearer the equator. I had to be a bit careful for the camera too – sudden temperature changes and unexpected tropical rainfall from the sprinkler system don’t go well with delicate electronic equipment. The Botanical Gardens (Botaniska Trädgården) have been a pleasure for the people of Gothenburg for nearly 100 years now. Also a resource for Gothenburg University’s Department of Biology and Environmental Sciences which has a building hard by. The plans for the gardens were drawn up in 1915, construction began the next year and the gardens were officially opened in 1923 on the city’s 300th birthday. I think we may expect some sort of a celebration in 2023 when the gardens hit their hundredth, the same year Gothenburg marks 400 years.